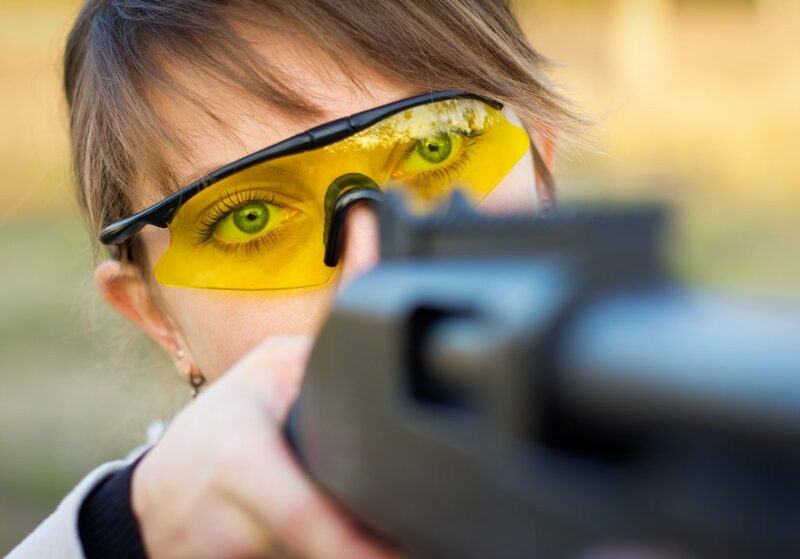 Hunters tend to like yellow or orange lenses since they increase contrast during the daybreak and twilight hours. During those hours the sun is at its greatest angle with the earth and therefore light passes through a denser atmosphere. As such, light is more bluish during those hours. As this bluish light passes through a yellow lens, the blue wavelength is filtered out and only the remaining colors can go through. Since the blue light can’t get through the lens, blue objects appear to be darker or even black. This increases contrast against all the other colors.